CBD stands for cannabidiol also called cannabinoids and do not have, like their THC counterpart, a psychoactive effect or stone effect. As a result, the seeds from this category are suitable for growers who are looking for plants with a higher percentage of CBD that can be used for all kinds of disorders and or to fight certain symptoms. Of course, there are many more medicinal applications for CBD rich strains. THC and CBD are among the cannabinoids. These substances are frequently found in cannabis. These substances have many similarities with substances such as anandamide and 2-AG and work on the body's own cannabinoid system. The ratio of CBD to THC can reinforce or alleviate certain effects depending on the percentages in which both are present. CBD can thus have an inhibiting or strengthening effect on THC, so CBD can enhance the effect of THC and prolong it when used for the THC. When THC and CBD are used together, CBD will inhibit the effect of THC but can also change effect. CBD in itself has proven to be very useful in epileptic seizures, sleep problems, pain relief and psychological symptoms but the list could be much longer. 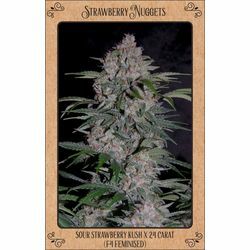 Which CBD seeds strain should I choose? Educate yourself on the internet on which marijuana strains and what proportions would be most beneficial for your condition, once you have done this you will have an idea of what kind of cannabis plant you should look for. 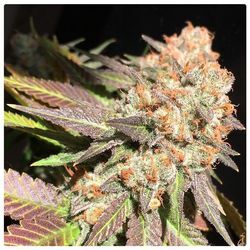 Choose a strain that will be suitable for your medical indication and then it is a matter of trying and searching for the best type of seeds that helps with your condition. It would be wise to try several types and see which suits you best. If thit is successful, I recommend that you keep the plant by means of cloning, so you will be able to keep the plant that is best suited for your purpose.